The North End-South Como Block Nurse Program is a non-profit resource for seniors residing in District 6 and the Frogtown Neighborhood north of University Avenue and east of Dale Street in St. Paul, MN. We are dedicated to helping our senior neighbors remain happy, healthy and at home rather than early nursing home placement.
" I couldn't stay in my home without you"
This is a comment we frequently hear from seniors who receive in-home care from the NE-SC Block Nurse Program. Our program has registered nurses with special training in the care of older adults, certified home health aides and trained volunteer visitors—all from the North End-South Como neighborhood. The Recover Health Home Care Agency is the professional association that employs and supervises our nurse and home health aides. As they say, “growing old ain’t for sissies”, but we’re hoping that you’ll realize that you’re not in it alone, that there is help right here in your neighborhood. 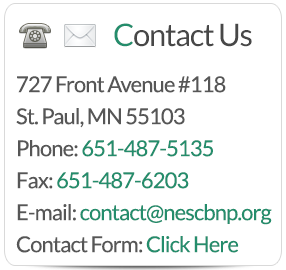 If you have any questions concerning the NE-SC Block Nurse Program, need help for yourself, a neighbor or a family member, would like to volunteer or just want to talk to folks that know what you’re going through, call us at (651) 487-5135. We are your neighbors and we are here to help! 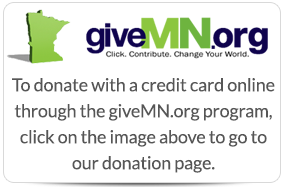 on Give to the Max Day!